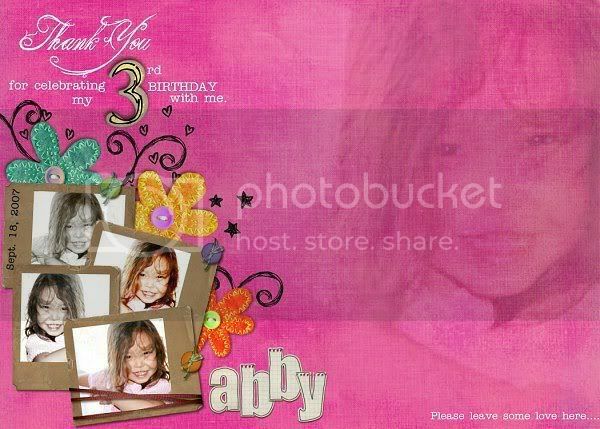 Agring's daughter Abby will celebrate it's 3rd birthday on the 18th and she asked us (Pinay Digiscrappers) to make some 5" x 7" guestsheets. There should be enough space for the guests to leave a message on the blank spaces. 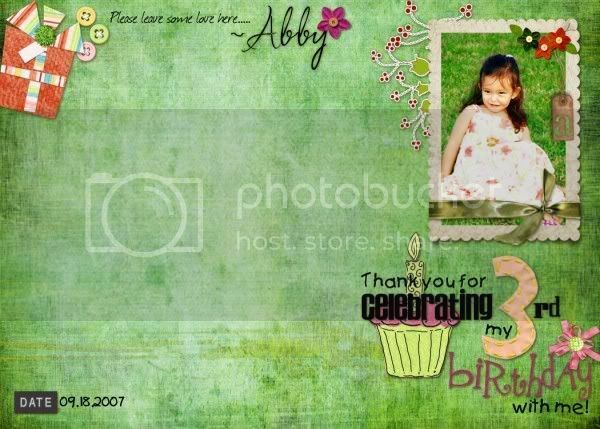 I never thought i will make one but when i started to look for the papers and elements, i finally made 2 layouts for her daughter. I am so glad that Agring liked what i made and she already printed it out. Wish I could do one for Agring also but I'm preoccupied these days. Your layouts are really pretty ate Jen! Keep it up!